Here at Diamond Nexus, we believe in making gorgeous rings and jewelry accessible to everyone. 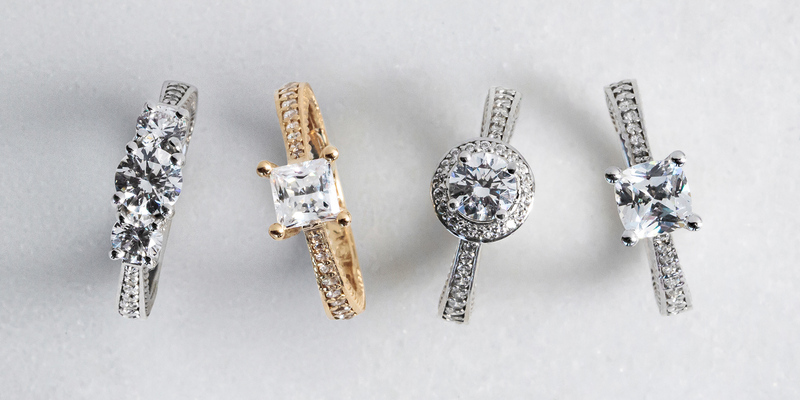 Love is for everyone—and engagement rings should be, too. That’s why we are so excited to unveil the Sage Collection. This brand new collection was designed to be beautiful for those on a tighter budget. A lower price point, with the same design attention and the same Nexus Diamond™ alternative stones, means more people can seal their engagement with the ring of their dreams. The initial concept for the Sage Collection was based off the very popular Gypsy three stone ring style. Our designers were inspired by the intricate metalwork and the peekaboo accent stones in the profile of the ring. These elements translated perfectly to the Sage Collection. 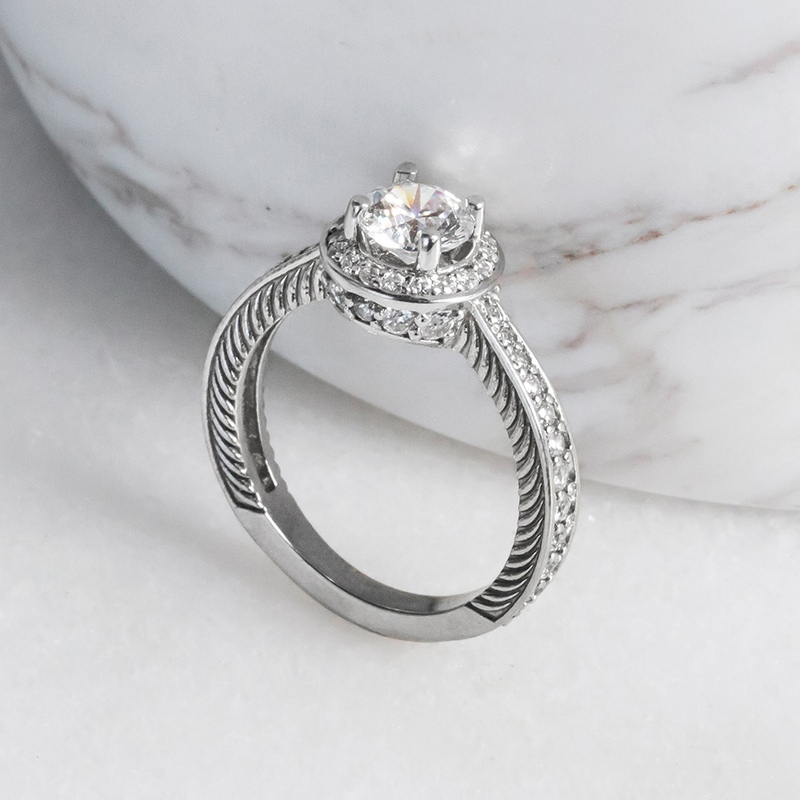 Additional design elements were added to the Sage Collection, such as adding an accented band to the three stone style, creating new ring styles, and adding different stone shapes. Four matching bands were also designed specifically for this collection. The Sage Collection is designed to provide choice for those balancing style with budget. With the variety of styles and matching band options, this collection provides options so you can find the piece or pieces that work for you. The Sage Collection is made from 10k gold. This means that the rings are 10 parts pure gold and 14 parts other metals such as nickel or copper. Because 24k gold is so soft, added metals make it harder and more durable. Commonly, engagement rings are made of 14k gold; the 10k gold rings are a beautiful option for value rings. This new collection features a variety of engagement ring styles and matching bands. These include solitaires, accented rings, a halo and three stone designs. The matching bands are available in classic and accented styles, in petite and bold widths. With matching metalwork, the bands were designed to pair with any engagement ring style, so you can mix and match to create the perfect set. What do you think of our latest collection? Simple, beautiful yet economic. (Although I dearly miss the variety of your extensive 10 carat collection). It's perfect, especially for someone who wants to look stunning sans spending a lot of money. I personally favour the Past, Present, Future Sage ring. 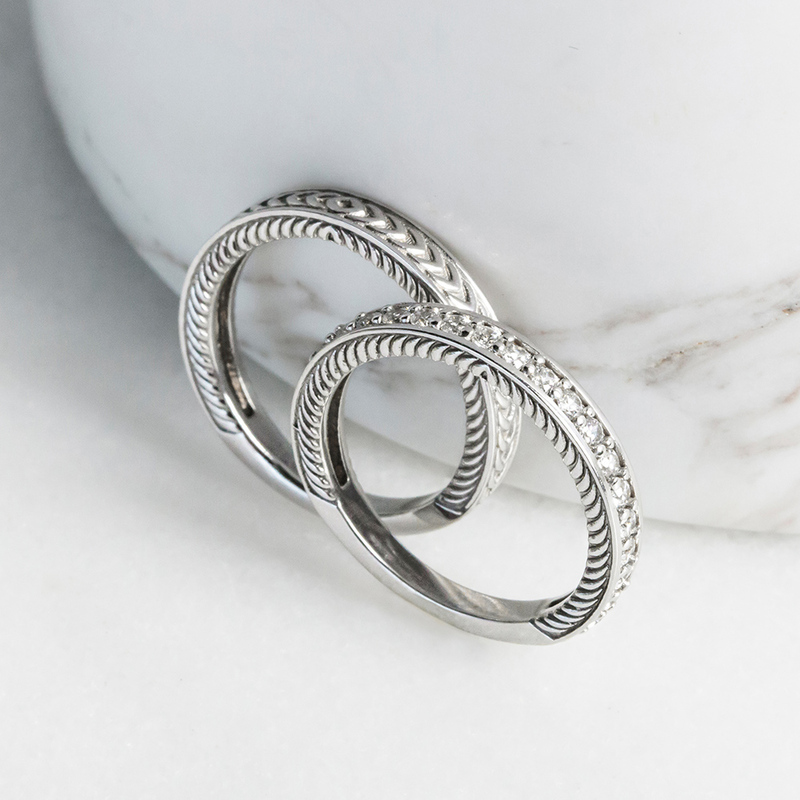 The Sage Collection is simple but so beautiful. You dont have to break the bank to own a piece of this amazing affordable jewelry by Diamond Nexus!